Hepatitis C is a virus that can be cured. Hep C is an RNA virus. It does not incorporate into the DNA of your cells. The Hep C virus must replicate to survive. Hep C is now treated with highly effective antiviral medication that stops the replication of the virus. Once the virus is stopped from replicating, remaining circulating virus dies off, and finally the virus becomes undetectable in the blood. Sustained Viral Response (SVR) is the clinical term for cure, and is the goal of Hep C treatment. SVR is achieved when the viral load becomes undetectable in the blood, and stays there even after the medication regimen is complete. SVR is declared when the Hep C RNA viral load remains undetectable in the blood a few months after treatment is completed. Treatments are getting shorter, and it’s becoming easier to achieve SVR with each passing year. Many studies have found that once Hep C SVR has been achieved, the virus does not come back. 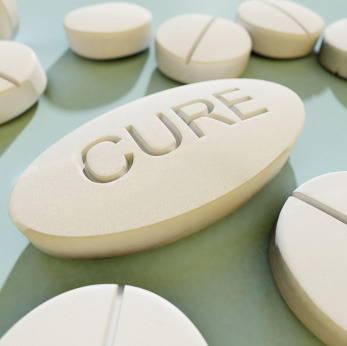 It is not a remission, it is a cure. You may feel better after being cured. Many people feel more energetic, less stress, and a new hope for a healthy life.